Well.. it may be the worst you've ever done but i love it.  Looks really nice, but I think it could promote joining PULP a bit more. Even if the P in PULP looks good I think it takes to much space and focus. Again, not saying it's a bad spray. Seeing as how its your first try, Panda, I think its good, but, it could do with some tweaking, like Pneu said, too much focus on the P. Good effort! That actually looks awesome panda but the thing is, I didn't actually see the "ulp" until like, my fourth glance. But still, it's awesome indeed. Not the worst there is but do you really want pulp to use your worst work ever as recruitment spray? I'd say give it another go, you obviously got the skill necessary to make a great spray. Alright i've send out an e-mail to everyone registered in these forums to join the contest. Thats more then 100 people. If we don't get any more contestants soon i'm going to close the competition and do a poll so people can vote for the best sprays. Counter that deal from your girlfriend. How about, she'll make one for us and you WILL keep playing? Ask her if that sounds reasonable. V3 and Bullet, can we expect a spray from you? Otherwise we will have to close the competition. V3 is saying that his girlfriend will make one if he'll quit playing TF2 in return eraser lol.